The Scrappy Genealogist: Would Pooh Have Made a Good Genealogist? Great, fun comparison that makes 1 think! 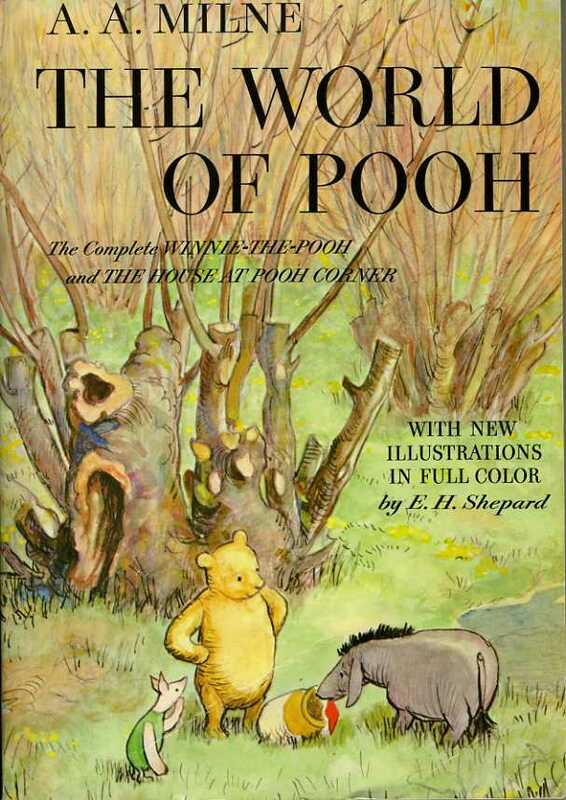 PS I still have my Pooh books too. Love it! I had to stop working on my kids book when I saw this come across Twitter! Great advice!! What a wonderful post--I just love it! What a great post! Lot's of wisdom in children's books. Love Pooh and love you! Great post Jen! Now THIS is real genealogy! I love the recognition that to-do lists can create bothering sort of days and even more I love the skill and wit in creating this post Jen - well done! Have you read "The Tao of Pooh"? It reminds me of your observations here. I loved Pooh as a child, my grandmother was a British trained Nanny, and she read it to me with all the funny voices for each character. Thanks for bringing back that memory of her! Oh great post! Now I can't get that Kenny Loggins song - "House At Pooh Corner" out of my head. You know the one - "Christopher Robin and I walked along . . ."
What a treat to come home to all of your kind comments! Michelle, I have four. Is it okay to still love books from your childhood? Nigel, Hysterical idea for Eeyore. 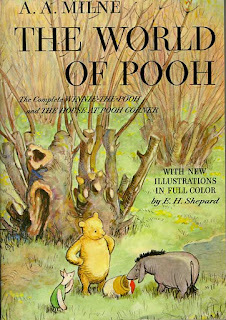 Perhaps there should be a series, the Genealogy of Pooh. Heather, I have seen it, but haven't read it. Perhaps I shall. Thank you Caroline, Danielle, Michelle, Debbie, Les, Hummer, Val and all! Know you are great people, now know you are Pooh lovers too! Thanks for this post. Excellently done. We must quote from Pooh at least every other day in this house. If Pooh says it, then it is wisdom!